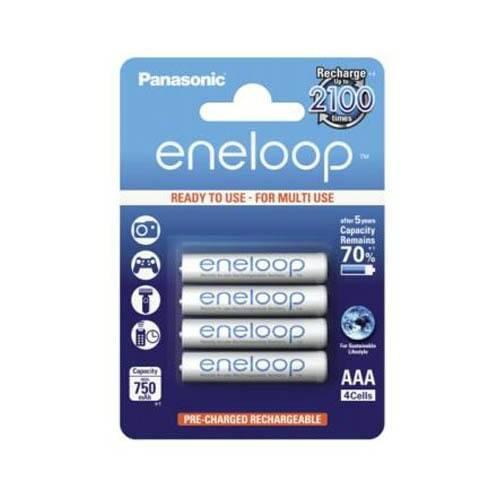 eneloop is a long-life, pre-charged, energy and money saving, recyclable rechargeable battery which can be charged and dicharged new even up to 2100 times. Clearly the greatest advantage of eneloop is that is can be recharged up to 2100 times and recycled afterwards. In the long run this is not only more economical it also avoids the waste of 2100 batteries.